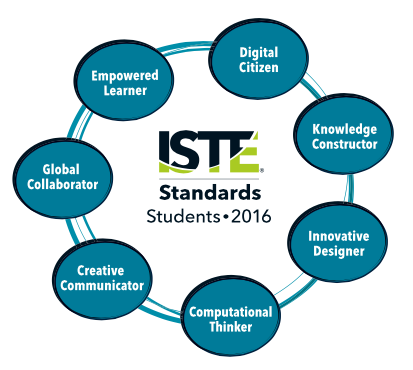 The 2016 ISTE Standards for Students were launched around 2 months ago. At the start of the year I took some time with our tech coaches to explore these new standards and to compare them with the previous ones. I also took a good look at some of the student tech artefacts we collected last year to see how the new standards would apply to them. My first thoughts were that there are lots of new things in the standards and therefore we will need to consider what we teach and how the students are using technology to ensure all the new standards are being addressed. The intention of the new standards is to focus on deep learning, and to encourage students to take more ownership of their learning both inside and outside the classroom. The students standards have evolved a long way since they were first developed almost 20 years ago in 1998. At that time the focus of the standards was on how to use technology tools. The standards were rewritten in 2007, at which time the emphasis shifted to cognitive and learning skills. 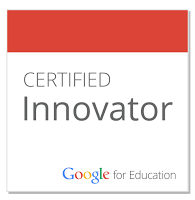 At this point 4 new words/concepts were introduced: culture, global, creativity and innovation, and digital citizenship. These took priority over "basic skills", whieh appeared in only 1 of the 6 new standards. Now the focus has changed again. In the 2016 student standards there is more about the learning and less about the tools; skills are seen as a means to an end; and the expectation is that students will use technology to take charge of their own learning. Empowered learning, the first of the new standards, is about motivating students and letting them make choices about their learning. Over the course of 20 years, the trend has been from teacher-directed (1998), to student centred (2007) and now in 2016 to learner driven. Teachers still play a key role - so I'm interested to see how the ISTE-Ts will change when they are rewritten. The 2016 standards recognize that students do need guidance as they gradually learn to take responsibility for their own learning.